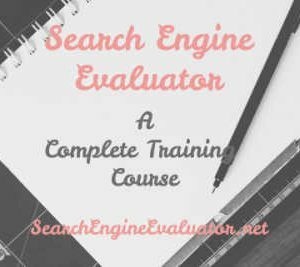 I started working as a Search Engine Evaluator with Leapforce from the second week of June, 2016. I got to be honest with you, it took quite a while to get adjusted to their user interface and gain the confidence to work properly. Moreover when I first joined Leapforce , my working hours were limited. It happens with every new evaluators. When you have demonstrated enough quality work, Leapforce will give you an opportunity to work for unlimited time if you are based in India and other third world countries. And if you’re based in US, you can work for 40 hours max per week. That’s because they tend to have more work at all hours compared to other countries like India. 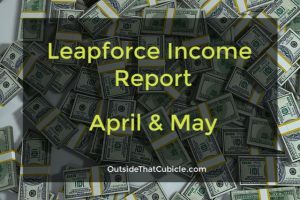 After six months of working with Leapforce as a side hustle, I was paid a total of $2750 which was billed for 392.86 hours of total work for six months, averaging 65.48 hours per month. Now if the same hours were to be billed for an American, he/she would’ve been paid $5303.61 as their hourly rate is $13.5, while for us Indians it is $7 per hour. So my average income was $458.33 a month which equals more than INR 30,000 every month. And the best part is I was working only 65.48 hours every month! An average Indian working in an MNC works 160 hours, every freaking month! And they make around INR 30,000 every month. I made that in just 66 hours, that’s less than half the hours of an employee working every month. That’s the beauty of working as a freelancer. You decide how much you work, you decide when you work and when you stop. You are in control of your income, you decide how much you earn every month. Your destiny is in your hands, they say. It is only true when your income is in your hands. Your destiny is in your hands only when you, not your boss decides your monthly income or at least a significant part of it. Now I am not all bossy or bursting with pride at $458.33 average monthly income. Noooo ! Not at all. That would be stupid of me. But I am proud of the fact that I quit my job and started something of my own. I am proud of the fact that I took a risk without any calculations. I had no emergency fund, I had no money even to live on. I still said no to multiple job offers and kept hustling and fighting each day. Can I work for 160 hours a month with Leapforce? Now you may be wondering, what is the point of working with Leapforce when you are making only Rs. 30,000 every month. Well there were months where I worked less and there were months where I worked for over 100 hours making nearly Rs. 48,000. Working hours fluctuates, and once you join Leapforce you will know why. 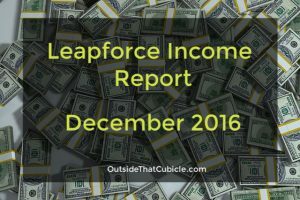 Now is it possible to work for 160 hours a month with Leapforce? Yes! I know of some Indians who does that. Most of the Americans do it every month. So even if you work for just 140 hours in India, you can still make $980 which is more than Rs.65,000 in today’s rate. And if you just want to part time, that’s great. 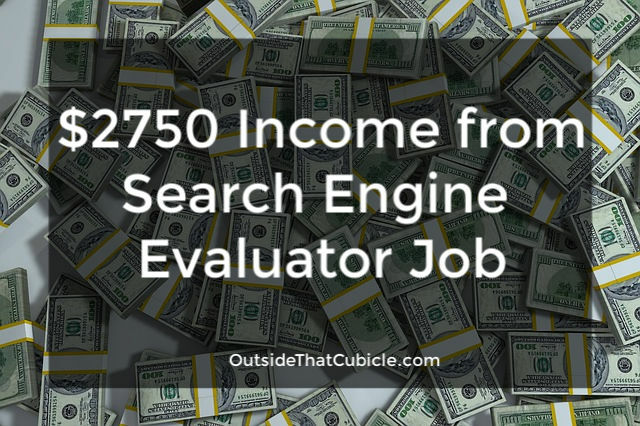 You can have double income along with your regular job. And trust me, even if your regular job doesn’t pay you, Leapforce will always pay you good money on time. Always. Period. Sign up below with your active gmail account. If you have applied for Hindi language project, you don’t need good English. They won’t judge you on that. I hope you hear back from them soon. Good Luck. I work in MNC and want to leave my job and also want to do something online. But I am lack of English skill. I can read and understand but don’t have good writing skill. Does it require good English (oral or writing) skill or they just need good intelligence? Select India (HIndi ) from the drop down. Additionally you can check out for other language projects with Lionbridge. Hi Sam, You’re doing a great job. I appreciate your genuine article. I filled in the form with Leapforce and kept it pending for nearly a month since I did not have a smartphone. After buying a smartphone, I tried to complete the application. But my account has been abandoned. Also, they say that I cannot proceed. Is it possible to apply through a new Gmail ID? Also, I have applied with Appen and Lionbridge (before 45 days) and have not heard back from them so far. 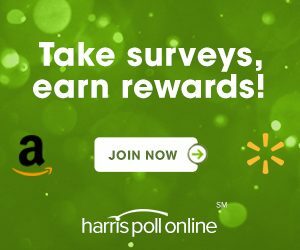 Could you please share some more LEGIT and REAL ways of earning money online. I’ve been out of a job for the past three months and look forward to hearing from you soon. You can reply to my email as well. Hey Ganesh, thanks for the kind words. 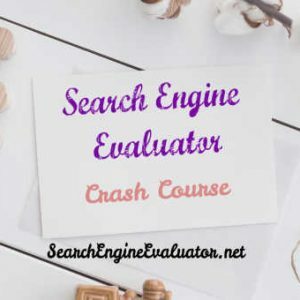 It is possible to apply through a new Gmail, but then they will see whether you are an active user of that gmail or not and for how long you have been using it. You can give it a shot though. There is unfortunately nothing I can do or comment on why Appen or Lionbridge haven’t gotten back to you. I am not their recruiter you know. I would recommend you to try for ZeroChaos as well. They rarely hire, but its worth giving it a shot. Just don’t tell them that, you have applied for other companies. I will be writing about other legit ways to make money as expand this blog. Right now its too niched. 1. They have abandoned my application before I apply. Is there a chance of identifying me through IP address (while applying through new Gmail)? Previously, I applied using BSNL broadband. If I apply using Jio mobile internet and SAME desktop, will there be a chance of identifying me? 2. One G+ circle with more than 11 people would suffice? or do I need to have a few more circles as well. 1) If they have abandoned your application, I think you should re-apply through the same Gmail. 2) 11 circles would suffice, but make sure that you have used your Gmail actively in the past. It shouldn’t just be something that you just made up and start using. New Gmails might ( I can’t say for sure though) most likely invite a red flag. I was an Indian citizen I have go through this leapforce n i found it very interest but I don’t have PAN card so any suggestion for that. Without PAN card, it is unfortunately not possible to do this job. Wherever you are living right now, you should have lived there continuously for the last 5 years and should have a valid ID proof. For Indians, PAN is sufficient for verification and tax purposes. They can take anywhere from 1-4 months depending on whether they need new evaluators or not. I can see some of my referrals getting accepted and working. So you might have to wait a bit longer as there was a massive signing up for this position. It’s not difficult. But one has to be deligent and has to be attentive to details. Anyone with knowledge of internet and good command over English (or Hindi) can do it. No special skills required. You will have enough support and study materials to be ready for this job. Thanks for this information! I have applied for this job and let’s hope I will hve good things to say in 6 months!